“IF YOU any good ideas, give them to me,” said Philippe Saint-Andre in the aftermath of Saturday’s Six Nations defeat to England. The coach of France was responding to a question from a French journalist about the search for a No 10, the problem position for the Blues for the last couple of seasons. Actually, it’s been France’s problem position for years, decades, even. The evidence? Look at the all-time list of Test top points scorers – not one Frenchman in the top 20, the only nation from the Big Ten not represented. It’s the view of Saint-Andre – and many others within French rugby – that there are too many foreign fly-halves in the Top 14 and it’s because of their presence that Les Bleus can’t find an international standard No 10. 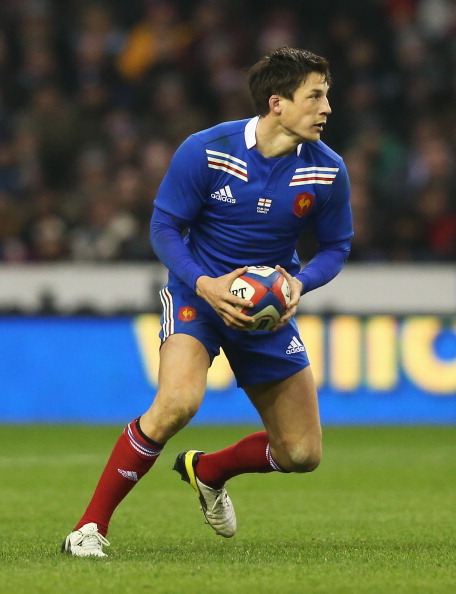 “Jonny Wilkinson, I can’t [select],” he complained to the French press on Sunday. “[Luke] McAllister neither. [Johnny] Sexton will be at Racing Metro next season so I can’t look there…” So that’s three clubs. What about the other 11? In fact last weekend, as Frederic Michalak and Francois Trinh-Duc were falling short against England, there were ten French fly-halves on show in the Top 14. So much for Saint-Andre’s theory. The likes of Clermont’s David Skrela and Lionel Beauxis of Toulouse have been capped many times by France, but never quite made the grade, while players such as Benat Arrayet of Mont-de-Marsan and Castres’ Rémy Tales are good solid professionals who have never had that little bit of star dust quality needed for Test rugby. But three of the fly-halves are youngsters, stars of recent France U20 sides, and tipped for great things when still in their teens. Yann Lesgourgues made his Heineken Cup debut for Biarritz against Gloucester in January 2010, when he was still only 18, while Jules Plisson, the 21-year-old Stade Francais fly-half, played in the recent junior world championship. So, too, Mathieu Ugalde, the 20-year-old who’ll be learning a great deal playing outside Mike Phillips at Bayonne. These three players have got the talent, and they’re being given the opportunity at their respective clubs, just as 21-year-old Owen Farrell has at Saracens, 23-year-old Dan Biggar at the Ospreys or 21-year-old Duncan Weir at Glasgow. What it will come down to, ultimately, is whether these young Frenchmen have the right temperament. And therein lies the real problem for Saint-Andre. 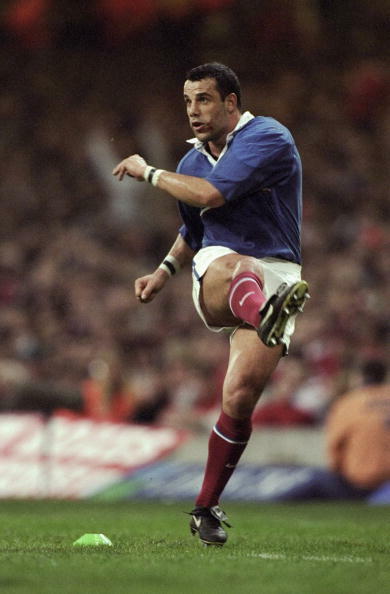 The dearth of decent French fly-halves is a conundrum that stretches back to the mid-1990s and the retirement of Thierry Lacroix, the last really reliable No 10 to wear the cockerel on his chest. Since then we’ve watched countless French fly-halves flatter to deceive: Thomas Castaignede, Christophe Lamaison, Yann Delaigue, Gerald Merceron, Francois Gelez, Michalak, Beauxis, Skrela, Trinh-Duc. Lamaison, incidentally, is France’s record points scorer. Guess how many? 380. 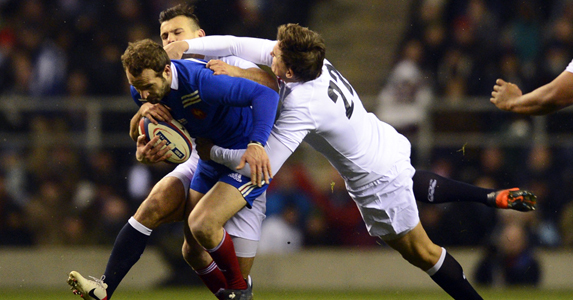 Yet in the same era France has produced four scrum-halves of world-class quality. Think Fabien Galthie, Jean-Baptiste Élissalde, Dimitri Yachvili and Morgan Parra, all brilliant players, decisive leaders and all, with the exception of Galthie, goal-kickers. Is this another reason for the lack of quality fly-halves in France? The strong characters of their scrum-halves, allied to their goal-kicking skills, have combined to undermine the role of the fly-half and to weaken his influence on the game. It’s just a wee theory, but one I believe in even more after watching Perpignan play Stade Francais last Saturday. In the final quarter of the game Stade were awarded a penalty slap bang in front of the posts, and captain David Lyons told Plisson to take the three points. Plisson wanted to kick to the corner and go for a seven-pointer but his captain was adamant – take the three points. Plisson petulantly teed up the ball, sulkily swung his boot and sliced his kick wide. As Plisson later admitted it was a miss that would have shamed a “schoolboy”. So it’s not the lack of French qualified fly-halves that is the problem for Saint-Andre; it’s the fact most of them in recent times have had the temperament of a ten-year-old.